Sustaining any type of brain trauma can be frightening — in addition to hoping for a quick and full recovery, you may also find yourself grappling with potential complications. Brain trauma is a risk factor for a variety of other brain-related problems, including undiagnosed aneurysms. 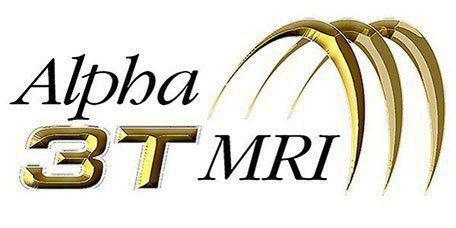 At Alpha 3T MRI in New York City’s Midtown Manhattan, board-certified radiologist Dr. Karl L. Hussman provides comprehensive diagnostic imaging services, including the most advanced MRI technologies, to patients who have sustained brain trauma. If you’d like to know more, call the office or book an appointment online today. Almost any significant head injury can cause brain trauma, including a direct bump, hit, or blow to your head, or the forceful back-and-forth motion of your head that causes your brain to shift suddenly inside your skull. Although brain injuries may be mild or severe, even mild traumatic brain injuries can result in long-term complications, such as insomnia or chronic headaches. If you’ve ever experienced a brain trauma, you have an increased risk of developing a brain aneurysm. An aneurysm is a weak or bulging spot on the wall of an artery in your brain. Although you can’t see it, an aneurysm looks either like a bulge in an artery, or more commonly like a round berry hanging on a stem. Although most brain aneurysms don’t rupture, one that does will cause bleeding in the brain, or a hemorrhagic stroke. A ruptured aneurysm is an emergency, life-or-death situation that has a high rate of mortality and long-term disability. Why should I have an MRI scan? It’s estimated that about one in 50 people has an unruptured brain aneurysm. Worldwide, approximately 500,000 people die from brain aneurysms each year, and half of those deaths occur in people who are younger than 50. If you have more than one risk factor, you may want to consider having an MRI. What will an MRI scan show? Magnetic resonance imaging (MRI) technology is used to create a crystal-clear, highly-detailed picture of your brain, allowing Dr. Hussman and your physician to see if you have an unruptured aneurysm, so they can develop a treatment plan. Dr. Hussman uses a special MRI scanning technique called diffusion tensor imaging (DTI) to help diagnose aneurysms or other brain problems that may not appear on a more routine MRI scan. He performs DTI scans in conjunction with NeuroQuant®, an advanced 3D volumetric post-process software that allows him to view an image of the anatomy of your brain, and measure the volume of various brain structures and compare them to normal standards.